Submitted 8 months 2 days ago by Jenny Rickard. Occupational therapy, with its holistic approach to problem-solving and ability to understand complex contextual factors, is in a position to play a critical role in framing issues around sustainability and working towards collaborative solutions. While achieving sustainable healthcare is a global challenge, it begins with education. In line with the United Nation's definition of sustainable development, sustainability in health care aims to meets the needs of present generations without compromising the ability of future generations to meet their needs (Our common future: Report of the World Commission on Environment and Development(link is external), 1987). Introducing sustainability into occupational therapy education may seem daunting, but it needn't be. Starting with simple changes, sustainability can complement the occupational therapy curriculum and help foster a deeper knowledge and understanding of health and wellbeing. The World Federation of Occupational Therapists (WFOT) minimum standards for education shape the global curriculum for occupational therapy. Beyond clinical competency, the aim of the minimum standards is to prepare graduates for diverse career paths that might extend beyond that of front-line clinicians into other areas of the community and society. At the core is an occupational therapy curriculum that includes not only an in-depth understanding of bodily dysfunction, but also consideration of the social and environmental determinants of health and wellbeing. Students are supported to develop the competencies to practice in medical environments, but also to build a strong sense of social justice, inclusion and human rights, and an awareness of how these impact on health and wellbeing on a local and global level. The minimum standards outline that occupational therapy students should develop knowledge and skills in: sustainable development (economic, social and environmental), the expansion of sustainable occupational lifestyles, and collaboration in the mitigation of the negative effects of climate change and other environmental challenges*. 'The intention of the WFOT in this regard is to promote the idea of sustainability as relevant to human occupational performance, making it part of the occupational therapy scope of practice and scholarship'. As well as sections aimed at occupational therapy practitioners and national representatives, ‘Sustainability Matters’ offers a range of opportunities for reflection to facilitate the inclusion of sustainability in university curriculums, and is easily translatable to the core competencies outlined in the minimum standards. The reflective questions relating to each of the guiding principles offer an excellent starting point for considering how sustainability may be incorporated into learning. 2) adapt to negative consequences of climate change and ecosystem damage? How could you help your students develop skills to assess their own occupational lifestyles and to modify them in order to reduce their carbon footprints? Consideration of sustainability adds a further dimension to occupational therapy education, and the opportunity to develop a deeper understanding of the complex set of factors contributing to health and well being at a local and global level. But incorporating this into the curriculum does not necessarily require dramatic change. An example of this is the WFOT's emphasis on feeding the characteristics of local contexts into the education of occupational therapists, which already requires us to consider issues of sustainability. How might individuals and communities be encouraged to explore more sustainable travel options, to improve health and wellbeing through exercise, and contribute to reducing air pollution? How might participative restoration and repair projects offer meaningful work, save money, and highlight recycling opportunities? How can local conservation projects connect people and improve mental health and wellbeing, while at the same time benefiting the local environment? Sustainability is often thought of as a constraint, while in fact it is a doorway to more effective solutions to problems we all share. Occupational therapists already see the health and wellbeing of the people we work with impacted by interrelated issues, such as diet, living conditions, work, the local environment and personal health; issues that can be tackled in innovative ways through the integrated approach of considering environmental, social and economic factors. Beyond this, considering sustainability is also an opportunity to explore the impact of occupational therapy practice. Learning how to reflect on practice is a key aspect of occupational therapy education and incorporating sustainability into reflective practice will give us a greater awareness of how our roles and the decisions we make impact on the environment. Are we considering the possibility of recycling or reusing adaptive equipment? Are we considering health promotion opportunities, such as setting up lower carbon health strategies? 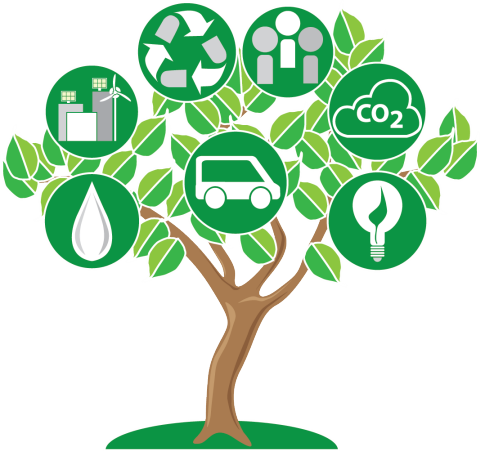 Listed with each guiding principle in Sustainability Matters is a set of suggestions for developing sustainability knowledge and tools within the university curriculum. Some, like the suggestions above, can be introduced relatively easily, while others require more in depth revisions to the curriculum, such as incorporating sustainability into learning outcomes and building a body of research around sustainable occupational behaviour. I would love to hear about any examples of where sustainability is being included in the curriculum already and ideas about how it could be developed further in occupational therapy education. *The 2016 minimum standards reference the WFOT position statement; Environmental sustainability: Sustainable Practice within Occupational Therapy (CM2012)(link is external).